It is fair to say that, Fnatic has successfully mounted a comeback. The current Worlds runner-up had a nightmare start to the first season of the League of Legends European Championship with four consecutive defeats. The team also lost its exceptional mid-laner Rasmus “Caps” Winther and relied on their new signing, Tim “Nemesis” Lipovšek to shine for the team in the mid lane. 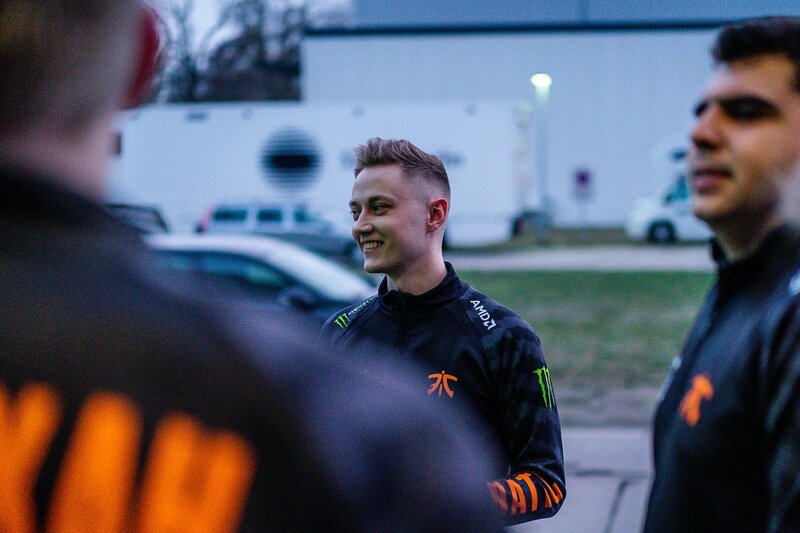 So, after a disastrous start, two months later, Fnatic will be in the finals of the LEC in Rotterdam. The team won eight consecutive games to end the league phase at the third place. The 3-0 victory against Vitality in the quarterfinals a week ago was expected. Last night, they triumphed against Splyce for the right to be the third team in the finals. Now the team will be competing with Origen and G2 Esports in the Netherlands. Fnatic’s match against Splyce last night was quite different from their last week’s game against Vitality. Fnatic had its fair share of troubles last night since they had some individual failures. The series was always open to the possibility that Splyce could just edge its. Gabriel “Bwipo” Rau had a terrible performance in the first game with Jarvan 0-5-11. But even with his failure, Fnatic started the series on front foot 1-0. In the second match, Fnatic opted for Kayle and Sivir as their formula for victory. The duo was enough to extend the game in favor of Fnatic. Yet, In this game, Kasper’s “Kobbe” Kobbeck Tristana was absolutely reckless as he ended the game 14-1-0. He paired well Andrei “Xerxe” Dragomir, who on Skarner went 0-0-11. The duo was absolutely clinical from start to finish to tie the series, 1-1. With 1-1 in the best of five, the fans were prepared for an exciting series. Fnatic soon took control of the match and that led them to assault the rival base very early, on the 27th minute. Apart from focusing on the objectives and closing the match. Fnatic made a notable mistake in “diving” in the fountain. The result? The massacre of Kobb’s Jinx who despite losing match finished 7-2-5. Fnatic was able to lead the match and win to lead the series 2-1. Yet, the match could have gone both ways. Now the fans of Fnatic had the last laugh as their team played flawlessly. The men trained by Joey “Youngbuck” Steltenpool learned from their mistakes and closed the game very soon thanks to a near perfect performance. Nemesis on Vayne had one of the best games of the season. Fnatic finished the game, 21-8, Nemesis was 8-2-6. While Rekkles finished without a single death with 4-0-9. Fnatic will now play in Rotterdam on April 13 where they will play in semifinals against the loser of Origin/G2 Esports.